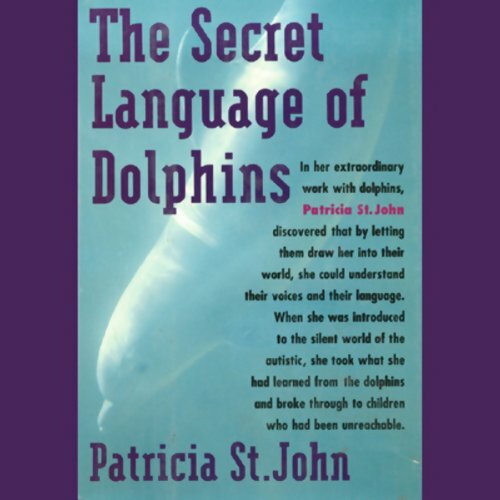 In her extraordinary work with dolphins, Patricia St. John has broken new ground in opening little-known worlds, all in pursuit of what she fiercely believes in: learning the languages of those who have been unreachable. Using what she has discovered from her years of work with dolphins, St. John is able to break through to autistic children. Her story is a remarkable one. Said the author: "When I left the pool that first day, I had no way of knowing I was taking the first steps toward breaking the barriers of dolphin-human communication...[or that] I would go on to find a way to use what I'd learned to improve the condition of other humans. At that first meeting, I had no idea how this information would enable me eventually to free autistic children to communicate with those who cared for them and about them."